Continuing with our monthly vocabulary calendar - here is February. For February our theme is... Love and Valentine's Day! 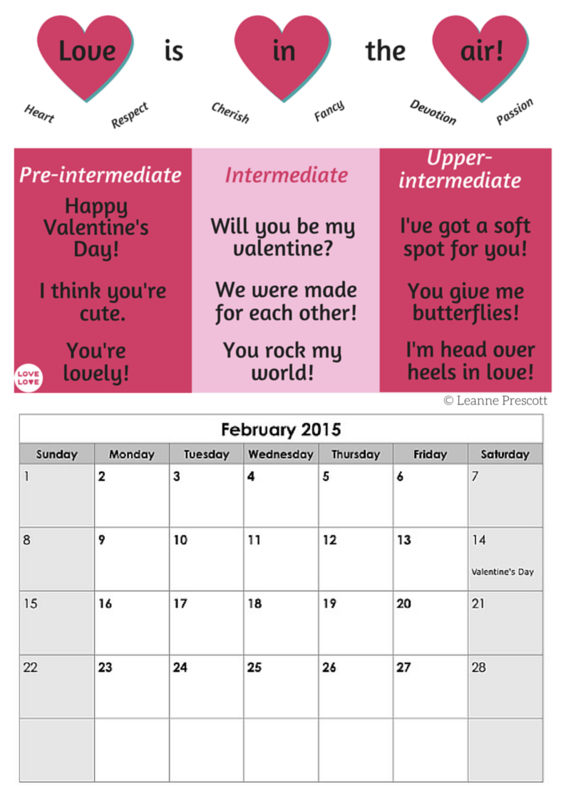 This is the month of romance, so here are the phrases you might need.